With three releases under his belt on Leo Records, Szilard Mezei (viola) is a household name. 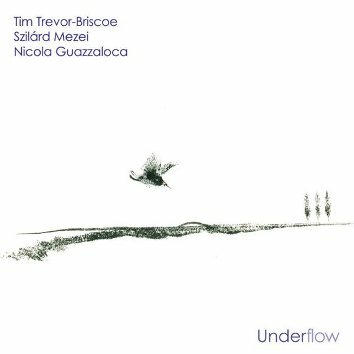 The duo of Tim Trevor-Briscoe (saxophone) and Nicola Guazzaloca (piano) also recorded for the label before. However, it is their first CD together. They met for the first time in Hungary in 2009 and again in Serbia at the Kanjiza Jazz Festival shortly afterwards. They decided to document the trio in Italy, April 2010, in the afternoon studio session and with the recording of a live concert the next day. So half of the CD is a studio recording and another half is live but you would not be able to tell the difference. As people and musicians, these three developed an instant rapport as if they have been playing together all their lives. Spontaneous composing at its best.